I think those we classify as “conservative” object to admitting the Syrian refugees because of two main concerns: cost to our society and safety. The typical response to conservatives is to start with our moral obligation. We are a land of promise, of opportunity to those facing oppression around the world. But our history of welcoming those in need of a safe haven is rather checkered. Typical is the refusal of the United States to open its doors to Jewish refugees from the Nazi oppression of the late 1930’s. Polls from that time being circulated on FaceBook show how 2 thirds of Americans opposed the admittance of Jews. One can ask why? The answers are multiple. For some there was concern about competition for jobs, which were scarce during the Depression, by these new immigrants. For some there was the fear of admitting Communists in an era that feared Communism. For others it was anti-Semitism pure and simple. I suspect that the current opposition to admitting Syrian refugees contains similar elements of concern, although we would substitute “Islamic terrorist” for “Communist” and Muslim for Jew. 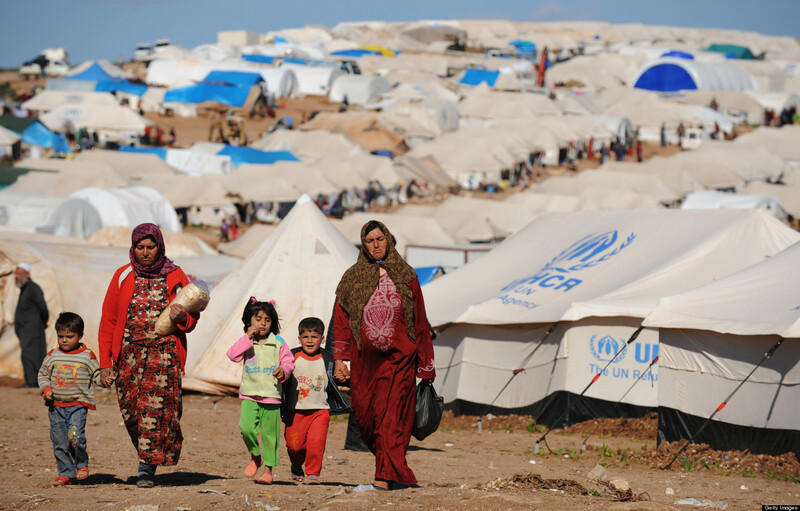 How can we, the United States, morally refuse haven to Syrian refugees given the shame of our past failures? This is a powerful argument. In a perfect world it would be sufficient. But it is not. Many Americans, of varying backgrounds, worry about the costs we might have to bear and fear the admittance of potential terrorists. I recently attended a meeting of area clergy with a representative of the Florida Department of Refugee services. I learned a lot. First, government programs already exist to assist with the costs of getting refugees settled and integrated safely into our society. These outline the basic needs that must be provided. Some funds are available, but often it is the religious community – churches and synagogues – that provide many of the resources. These range from furniture and accessories for the home, to entry level jobs for the refugees, to tutoring in English for the families. Refugee services, at least in Florida and I suspect around the country, is a true partnership between government and the faith community. Some argue that we cannot afford any more “official” resources to admit more refugees. I would argue that the waste in our government, especially in the department of defense, contains enough wasted dollars to more than cover the costs of admitting significant numbers of refugees. I think about the situation in Israel during the 1950’s and 1960’s. Despite being overburdened with defense needs, despite being economically almost a third world country, Israel had the will to accept hundreds of thousands of Jewish immigrants, despite the costs to their society. They took in Jews from everywhere – Europe, Arab countries, Africa – and of all colors. The process was often not pretty, but somehow it worked. I am NOT drawing a political equivalence between the United States accepting Syrians and Israel accepting Jewish immigrants, just pointing out that political will can overcome economic limitations to achieve a good end. I also learned who these refugees are. Mostly, they are middle class people: small business owners, professionals, skilled workers, and lower end white collar workers, whose lives are in danger because of either social, religious or political oppression. They are trying to get their families to a safer place. Very likely they will, after learning English and getting settled, start businesses, fill needed positions and become contributors to our country – like so many immigrants before them. Their current profile does remind me very much of the makeup of German Jewish immigrants of the ‘30’s and 40’s. Perhaps most important, I learned how difficult it is for a person to even be granted “refugee” status. It takes months, as they cannot just state a story that is automatically accepted. Their situation is verified by government authorities. The refugees’ backgrounds are checked. They are allowed entrance only after this vetting process. It is hard to imagine how this process could be more rigorous no matter the source of the refugees. So what to make of the current call by many so called conservatives for no admittance without more vetting? I say “so called conservatives” because the conservatism of today is not the one I knew growing up. I had always understood conservatism (thanks to folks like William F. Buckley and Barry Goldwater) as being primarily concerned with individual liberty. Government programs came under scrutiny because of the fear of them infringing upon individual liberty. This kind of conservatism is a necessary counter balance to the liberal tendency to try and solve all problems through federal programs. The new conservatism seems to be an ideology that operates out of fear, especially fear of change and fear of those who are in some way different. Today’s conservatives fear gays (compare that to Goldwater), fear Muslims, fear immigrants, and cast these fears as some kind of personal threat. Worse are so called conservative politicians who traffic in fear in order to motivate a political base. I understand fear. We all have fears – I certainly do. However, not to admit Syrian refugees because of fear of terrorism is to give into fear in the very worst way. First, it compromises the ideological aspirations of our country. Second, it allows the terrorists to win, as we have been scared into becoming the worst version of ourselves instead of the best by being xenophobic instead of embracing. Terrorists will never be able to defeat our country through violence or military action. They will defeat us by forcing us to adopt values that are antithetical to the American dream. Finally, even if there is the risk of a terrorist somehow sneaking into the country through the process of admitting refugees, and even if it results in a terrorist act, we cannot let that frighten us out of our way of life. I firmly believe that the best way to thumb our noses at terrorists is to cling to the values we hold dear – that make America different, exceptional. So despite the fear terrorism causes – let the refugees in. We are Americans! Be proud and do what is right!